GSoC !!! It's one of my dreams that I wish to accomplish in my life. Yet, it is an expectation of all open source contributors. "We are proud to say that for the 7th consecutive year, University of Moratuwa has claimed the top spot with 39 accepted students in 2013!" I felt very happy to be a student at such a reputed university out of all the universities all over the world. This feeling motivated me applying for Computer Science and Engineering during the field selection process that held in the second year of my university life. At that time, I was a newbie to programming. The first programming language I learnt was C, which is a very basic language and a good option for any one to start with. Then I started working out programming problems at projecteuler.net, which is a site containing thousands of mathematical and logical problems. This made me very happy and I got almost addicted to it. I wanted to solve more and more problems to get my name in the top list of ranks. It was difficult to find solutions for several problems with only data types like 'int'. Hence I wanted to deal with very long integers. This made my way to learn Java which helped me to solve lot of problems in that site. This is how I started programming. Whenever someone ask me on how to get started with programming, what I recommend is to start solving little problems in Projecteuler and then gradually start working out difficult problems as there are many readily available resources in internet to learn any programming language very easily. 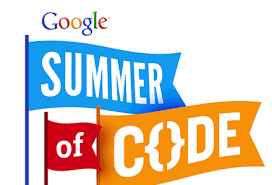 I got to know that Google Summer of Code is a global program that offers students stipends to write code for open source projects. I was always expecting to take part in a GSoC project. It is one of my life dreams, not for money, but I want to prove myself that I am capable to accept any challenge. As I believe, GSoC is an opportunity to convince our selves that we are capable of completing some project task within the given time period under the guidance of a mentor. There are many enthusiastic young programmers who wish to have their own startups. GSoC would definitely be an opportunity for such individuals to convince themselves that they will not fail, yet they can go far ahead. One day, when I was studying at my university library, I thought of going through the last year's project ideas list for GSoC. Meanwhile, I came across KDE organization which drew my attention. It was at that time that I decided to get in touch with KDE community. During that time, mentoring organizations had not started submitting applications to Google. So I thought to wait, but I continued to study last year's KDE project ideas, their contributions and their motivations. To get started, I studied the Inqlude website and got myself familiar with the website environment. I have heard that the golden rule for winning a GSoC proposal is to start early as possible. I subscribed to the required mailing lists. I sent an email mentioning my interests on that particular project. I felt very happy from the first reply and so I continued the discussion with my mentor. I felt very comforatble and happy to work under the guidance of an amazing mentor, Cornelius Schumacher. It is mainly because of his guidance and motivation that I continued to progress through this project. I am always very grateful to him and I am looking forward to join my hands more and more with KDE community.